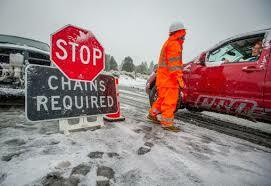 Caltrans is requiring chains at Cottage Springs this morning on Hwy 4 in Ebbetts Pass. Drive carefully. More snow coming in tonight!